When I was building our house, (the one we are living in now) one of our decisions was to go with painting the ceilings, as opposed to a textured surface. I had not attempted any knockdown, or more elaborate types of texture before, and I am not fond of “popcorn stippling”. A lack of time also entered into the decision. We used the usual method of painting on a primer sealer over the finished wall board which we then top coated. The First choice was a tinted “velvet” paint. We were not satisfied with the results. The color darkened the room too much, and the finish left much to be desired, with wide streaks of what seemed to be a different shade, that showed when the light struck It at the wrong angle. We tried painting once more with a white ceiling paint, and were disappointed when the same type of streaks appeared, just in different places. Not one to give up easily, I tried coating it again, being very careful to get an even layer of paint. It looked fine until it dried. Once again, I had only succeeded in moving the streaks around. Getting rather annoyed by this time, and using words like drat and darn profusely, I had almost reached the point of using texture after all. Of course, we were now living in the house, which would make this option that much more disrupting, what with protecting furniture and working around it. In the end, we decided to live with it for the time being. After all, the streaks only showed up from certain angles and in the daytime. The sale of our house (mentioned in another post) had fallen through, and instead of placing it back on the market, we have rented it. This meant that the place needed to be freshened up by painting. Yesterday, I decided to tackle that annoying ceiling again (had to cover those squished bugs anyway). I used a popular brand name white ceiling paint which offered a substantial mail in rebate. I purchased enough for my new house as well. Since it is still winter here, I allowed the house to cool to about 18 degrees ( about 64 Fahrenheit). As a further measure, I made the roller strokes parallel to the light sources. I was as careful as possible to get an even coating of paint. Voila!!! When the paint dried the streaks were no longer visible. In fact, there were only very minor imperfections, which were likely caused by my old eyes missing things. We are very satisfied with the result. Texture is not going to be necessary after all. I think the temperature, when painting the ceiling was the major factor that affected the final appearance. I know that I will not again attempt to paint a large flat ceiling unless I have cool conditions. I likely have more paint on this ceiling than would normally be required over 20 years. I have heard of others having this same problem when painting ceilings, and would be interested in any comments on their experience. This entry was posted in Uncategorized and tagged ceiling, painting on February 28, 2013 by Rick. To build your own house, in virtually any jurisdiction in North America , you will be required to purchase various permits, and to follow strict codes. I am sure this is also true in most of the developed world. In most areas, you will be allowed to do all or most of your own work as long as you have the proper permits. There may be some exceptions from concern for public safety. Both Canada and the U.S. have national building codes, but permitting as well as enforcement is normally provided at a local level. There are also state, provincial and municipal codes that may be more specific regionally. Some developments, subdivisions, and historic districts may have their own requirements. These are sometimes as specific as the style of windows and doors and exterior finishes. Each project may have to be approved by a board established for that specific purpose, or by a development officer. The first step required will likely be a development permit, which is issued by the municipality, when they are satisfied that your project fits within their land use by-laws. 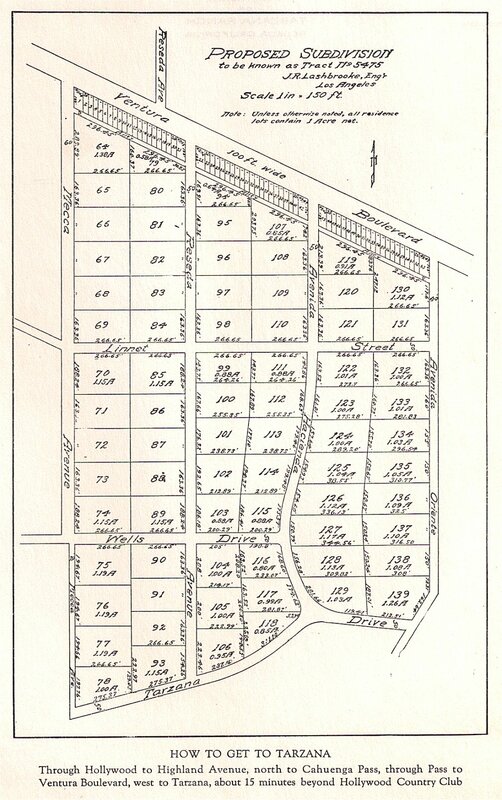 Land use by-laws are often published on a communities website. If your plans do not fit strictly within their rules, you may still be issued permits, if an exception is granted by the municipal planning commission, or the governing body. There may be an extra fee for dealing with exceptions. A detailed site plan and a project description will be the minimum requirements of the application, but other documentation may be required. In the case of a relaxation of by-laws, a period for appeal will be allowed, for persons claiming to be affected by the development. You will have several avenues of appeal yourself, if your permit application is not approved. Fees vary widely. In two municipalities that I know of the fee is 60 dollars, and 100 dollars for the basic development permit. 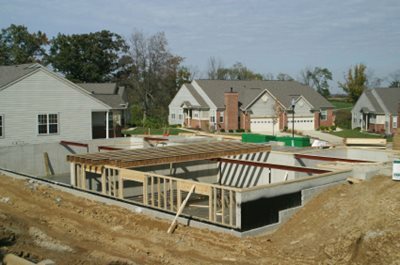 Other permits that may be required for residential construction, include building, electrical, plumbing, gas fitting, and private waste water. Your design and location determine which you need. Costs for these permits can run into the thousands, if your plan is for a large house. Prices are often determined by the expected cost of the home. The building permit application will require a copy of the development permit, and detailed drawings with floor plans, elevations, and construction details. Depending on the complexity, the other permits may require drawings and descriptions as well. These permits may be available directly from the municipality. In other cases, the service may be provided by one or more separate corporations,often on contract to the municipality. What you should expect for your money is a thorough review of your plans with suggestions. Also expect regular inspections as the project progresses. Don’t be afraid to ask for advice. Inspectors are usually very knowledgeable, and see ongoing builds every day. They are often very willing to share their expertise with you. Building codes are primarily concerned with safety and health, but in recent years have gone considerably beyond that. They now legislate environmental concerns, and standards of good practice. Keep in mind, that most codes are to minimum requirements, and there may be good reason to build to higher standards. Most often, the codes make a lot of sense, but there are occasions when the logic escapes me. Codes change continually in response to changing conditions, and to technological advances. You must keep up to date to avoid costly corrections. Like any set of rules, codes are open to interpretation. If you do not perfectly understand them, consult with the inspectors. They are the ones who has the final say, if you do not want to get involved in time consuming appeal processes. Do not be tempted to start construction without the appropriate permits. Although the level of enforcement varies considerably, municipalities have the authority to issue stop work orders, and even to tear down a non conforming structure in some cases. Any action they take will likely be at your cost, and they do have the power to collect. Permits do not offer complete protection against shoddy workmanship or poor design. Your own diligence is still required. This entry was posted in Uncategorized and tagged building codes, permits on February 25, 2013 by Rick. When you build your own home, you are going to run into surprise complications that are inconvenient, and often expensive. This is why, earlier in this blog, I advocated budgeting an extra 20% for eventualities that you may not foresee. Yesterday, I stopped at our municipal offices to inquire about the provision of water and sewage services to our building lot. Something that I should have done before we purchased the lot, and I hope my experience will prod others to be more diligent. I had made an assumption from a quick glance that water and sewer services were readily available, since there were fire hydrants at both ends of the block, and the lot across the street appeared to have water and sewer services. A dig in at 90 degrees should be simple and cost about 2000.00 dollars, even if there was no cost sharing by the municipality. To my surprise, that although a water service was no problem, there was not a sewer service to the front of our lots that I could use. The municipal plans showed that the sewer main ended about 100 ft. (30.48m) from where I needed it. It would be our responsibility to extend it the needed distance. A quick mental calculation told me that the cost could now run up to 10,000.00 dollars although I have not yet confirmed this. Needless to say a big chunk of my 20% contingency is already gone, and I haven’t even driven a stake yet. Although an unpleasant surprise, it is not as bad as it might have been. It might have turned out that it was not possible to connect to municipal sewer at all. Elevations could have made the line too shallow for frost protection before it reached to where it is required, or it could have required a longer line extension. I am not sure what our options would have been in that case, but I am sure they would have been costly. Fortunately this development occurred at an early stage of our project,and leaves plenty of time for me to effect savings in other areas, to partly make up for this setback. It is not unusual for many of the worst surprises to happen early in a project. After all, you cannot see under the earth, and there is no telling what you may run into when you start digging. I am emotionally prepared for more unpleasant surprise,s and I have been taught another lesson in caution. You would think, that at my age, I would have a better idea what to expect. One of my practices, is to use the best retail prices I can find, when estimating material costs, and using these results in my budgeting. This can leave considerable room for future savings, if you are able to find package discounts and sale items. You may also be able to use some recycled material at considerable savings. This does require early planning, and time to do diligent shopping. Planning, and accumulating material, takes me longer than the actual build does. Heating a house in our climate is one of the our major concern, both for expense, and for environmental reasons. It is another area where I have run into complications, if not actually surprises. For efficiency and comfort, I had more or less settled on under floor hydronic radiant heating, after considering many options. 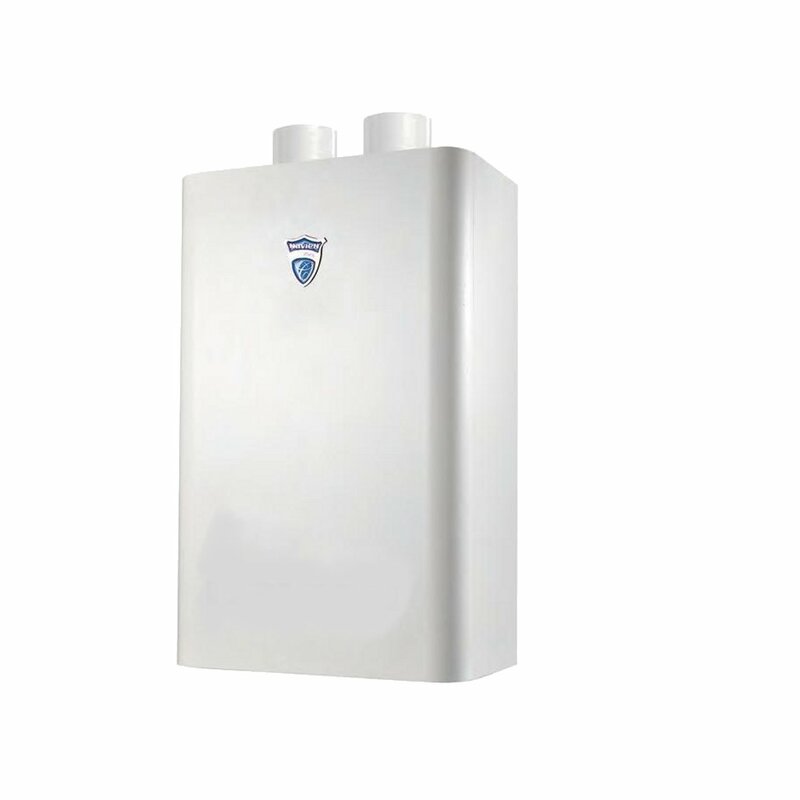 To keep costs down and gain maximum efficiency, I had hoped to use a tankless water heater, which provides very high efficiencies, to supply both my hot water and space heating requirements. I have used a system like this in the past with excellent success. I had been made aware, that the code now required that a heat exchanger be used to separate the heating from the domestic hot water, in these applications. Both sides of this system would use potable water, and potable water rated equipment, so I am not sure what the reasoning behind this requirement is. Still it was not an onerous condition, since it would only require that I purchase a heat exchanger, an extra circulating pump and some extra controls. Total extra cost would be between 500.00 and 1000.00 dollars. System efficiencies would suffer slightly, as extra electricity would be used to run the extra pump, and maintenance concerns would be added. Further research uncovered another possible concern. If I am interpreting the code correctly, a double wall exchanger will be required, at almost double the cost. The operating efficiency of a double wall exchanger is only about half of a single wall, and therefore, one twice as big would be required, and would nearly double the price again. I have not confirmed any of this, but I am concerned enough that I am looking at alternatives. I am considering buying a second tankless water heater to supply my space heating requirements, and to keep space heating completely separate from potable water. It would not be much less expensive, but operating costs would be slightly lower, and the environment may be better served, if I can find a slightly used unit at a good price. I will comment on my success or failure in a later post. Keeping your chin up is not a good idea, if its a boxing match. You could get a surprise. This entry was posted in Uncategorized and tagged complications, surprises on February 23, 2013 by Rick. Are you building your house with the idea of resale? While it is likely a good idea to keep the concept of saleability in mind, it should not be such a high priority that you end up with a product you are unhappy with, or that is much more or less than you want or need. Unless you are a builder putting together a spec house for immediate sale, resale ease, or value should not be too high on your list. Of course, it would be unwise to build something completely unsellable at a price near what you have put into it. Keep in mind, that if it is the house you want, there will be many more people who want something similar. The house you build is probably less important than the location when it is time to sell. The more remote a location is, the lower property value is likely to be. This is mostly due to land values being a direct result of the level of demand. Some exceptions are lake or riverfront properties, which have much higher values than would otherwise be expected. However, the values of these properties will also decrease sharply the further you get from a large urban center. If trying to sell in a small center, it may take much longer to sell at a fair price, than a comparable property in the bigger cities. A poor market may make it even more difficult. Some remote areas may find no buyers at all if the local economy should collapse. Builders usually build cookie cutter type houses, designed to appeal to a large segment of the buying public. First of all, the people in their perceived market segment must be able to pay for the houses they build. Secondly, the houses will be designed for the average family, two adults and one and a half kids. Only very rarely will you find developments meant for seniors, singles, childless couples, or large families. An exception is the gated retirement communities, in favorable climates, usually targeting the richer class of senior. So what are you do? Well, if you are seniors, then build your house for senior living. There are more seniors all the time, and one of them is sure to want your house when you sell. If you fit one of the other so-called minorities, the same is true. One caution, the more costly your house is, the fewer buyers you will find. In a poor economic climate, it is the expensive houses that go down in price by the largest percentage and become the hardest to sell. Don’t stray too far from the norm when it comes to providing the basics. A bedroom, bathroom, kitchen and living area must be provided if a house is to appeal to anyone. Try to avoid fads, unless you really like them. Some of us still remember pastel colored appliances and bathroom fixtures. When the time comes to sell your house, there are a few things that are important, if you want the best price the quickest. Your house should be very clean, and free from bad odors. Fix all the noticeable little things that you have neglected. If the paint is showing its age, repaint, inside and out. If the roof is in need of shingling, then do it, if you can afford it. Don’t forget to mow your lawn, and try to keep the landscaping looking its best. Make sure the windows are clean, and open drapes and blinds, to brighten things up. A lot of emphasis has been placed on neutral colors when trying to sell, but I have seen houses with color schemes that I would consider way out there sell quickly. I remember one that even had some padded walls and mirrored ceilings. Unless you are color blind, there is probably someone out there with a taste similar to yours. Stage your house in preparation for selling. Resale value is all in the appeal of the property. Get some qualified opinions as to the value of your house, and price very close to the price you arrive at. An agents opinion is not always the best, as they may be only trying to get a listing. An appraiser with no vested interest is likely the best. If you think you can be objective, you may be able to arrive at a good price by comparing other recent sales nearby. Don’t overvalue extras that may not have general appeal. Decide whether to hire a real estate agent or to sell yourself. Real estate commissions are quite high, and selling yourself can provide a little more bargaining leeway. Agents do considerable advertising and sell houses to clients that are drawn to that advertising. When someone replies to an ad, the salesperson is prepared to show them a number of houses, besides the one that caught the customers interest. Buyers are often from out of town and may use agents to save time, by looking at more houses more quickly. On the other hand, if your house is a little out of the way, or in an area where the market is slow, it may not get much attention from the realtors whose focus is to sell as many houses as quickly as possible. If you decide to sell yourself, then advertising is key. People must know your house is for sale, and you must entice them to look at it. You may not have to spend a lot of money, but you should be persistent. A prominent for sale sign on your front lawn is essential. Make sure it provides a phone number where you can be reached at any time. Put up posters with pictures in the downtown area where people will see them. Utilize free local advertising such as Kijiji, and move your ad to the top of the list every week or two. If your ad is not getting results, then write a new one and take some new pictures. Throw an occasional ad in cities further afield, if you feel your house may attract someone for any reason. Check the ads of comparable properties and prices, so that you know your competition. Don’t sleep on the job when trying to sell your house. Open houses are an excellent tool for giving your property exposure. Hold one every few weeks until it is sold. Here is where you should spend a little on ads. Place a fairly prominent display ad, in the real estate section, of the paper most likely to be read locally. A local radio ad for the day before, and during your open house, may be worth the dollar. Rent, or buy, open house signs, and place as many as practical, with arrows pointing towards your house. Have coffee and treats available, (preferably some you have baked yourself, so the house smells good). Have descriptive handouts with pictures, for people to take with them, to aid their memory, and to show to friends. 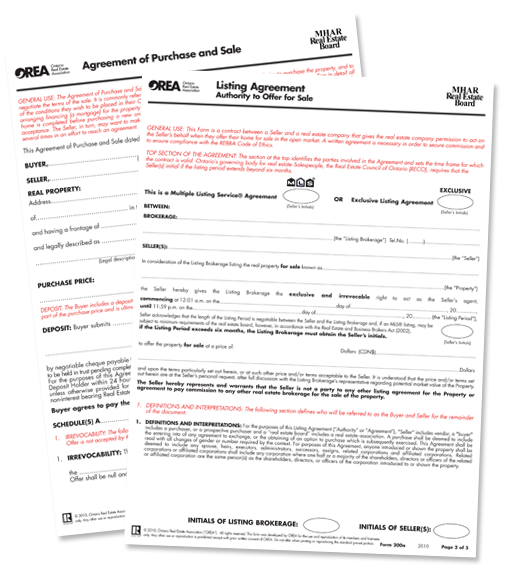 Have offer to purchase forms available and partially filled out with details such as address and legal description. Make sure your contact numbers are on all handouts. Above all be friendly and approachable. The best timing is likely the afternoons of long weekends. When you have found a prospect, don’t be afraid to ask a few questions to qualify them. Not much point wasting time if they cannot afford to purchase your home. In some cases, you may find a buyer who will not be able to qualify for a mortgage, in spite of an adequate and secure income. Perhaps, because they do not have a down payment, have just been divorced, or have been out of the country for several years. If you do not need the money for another house, then providing part or all of the financing, may be an excellent investment for you. After all, you are more familiar with the security, than anyone else. Familiarize yourself with mortgage conditions, terms, and amortizations. Above all be sure to consult a lawyer before finalizing anything. If Market conditions are bad, you may be able to rent your property out until conditions improve. Just be careful of who you rent to, and be aware that it can be difficult to sell a home while it is rented unless it is a profitable revenue type property. The best possible time to sell a home is while you are still living in it, with good furniture in place. I just sold our home last week, in a difficult small town market, so have a little recent experience besides some real estate background. In a future post, I may tell a little of that story. This entry was posted in Uncategorized and tagged house value, real estate, resale on February 18, 2013 by Rick.